The Samsung Blind Cap, a swim cap that vibrates when swimmers get close to the wall to let them know that they need to turn, won the mobile category’s gold award at the 2016 Cannes Lions International Festival of Creativity. Ever since blind swimming became a Paralympic sport over 50 years ago, coaches have been tapping swimmers with a hard sponge that is attached to a long metal pole to let them know that they are approaching the wall. 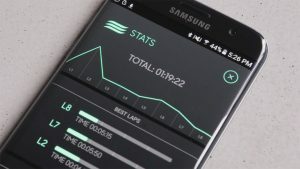 Samsung felt that that was archaic, rudimentary and degrading and that Paralympic sports should see just as much technological innovation as Olympic sports experience. Samsung teamed up with Cheil Spain of Madrid to create this vibrating swim cap. The cap is connected via bluetooth to either the coach’s Android or Gear S2 smartwatch so that when the swimmer is approaching the end of the pool, the coach can send the signal to the cap to vibrate and alert the swimmer of the wall. 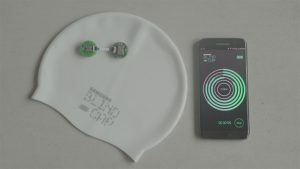 After testing the product and witnessing its success, the Spanish Paralympic Committee has expressed interest in transitioning to the Samsung Blind Cap as its tool to notify swimmers that they need to turn. They are also trying to modify regulations so that the cap can be used at National Championships. Not only has Samsung help improved the quality and conditions of a Paralympic sport, they have created good press for themselves and defined themselves as a brand who cares about improving other people’s lives.